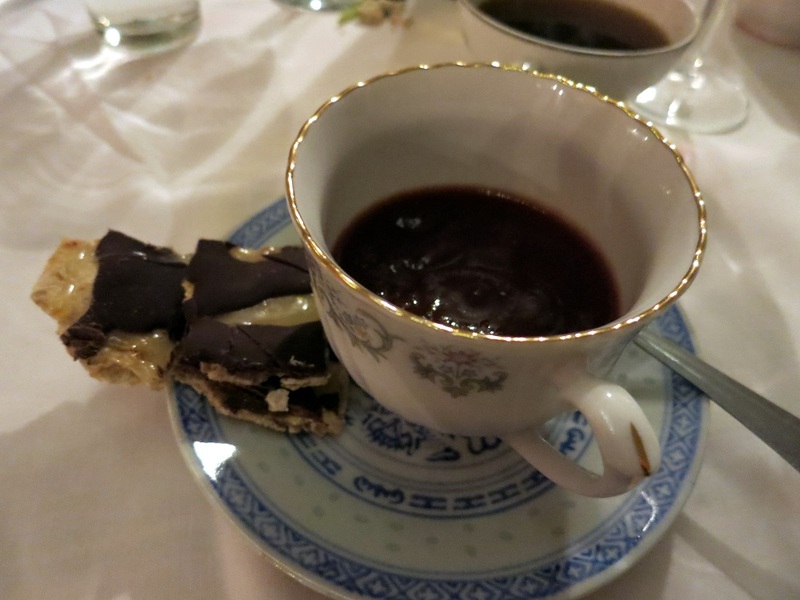 Vegan Pre-Passover Supper Club from Emily Zimmerman – vegan in your city. Chag Sameach to those who are observing Passover this week. Yesterday was the first night of Passover, and we celebrated at JC’s childhood home with family and friends. There was lots of reading (though not by me), and lots and lots of delicious food. Passover retells the story of the Jewish people’s escape from slavery from the Pharaoh, and of course, for me, with my general focus on social justice ties in really well with conversations on the realities of oppression and slavery in modern times as well. So I’ll be reflecting on the world I want to be a part of this week, and actively continue to participate in activities that further those positive goals. However, the night before we had a pre-Passover style supper club with Chef Emily Zimmerman, cooking out of The Depanneur. 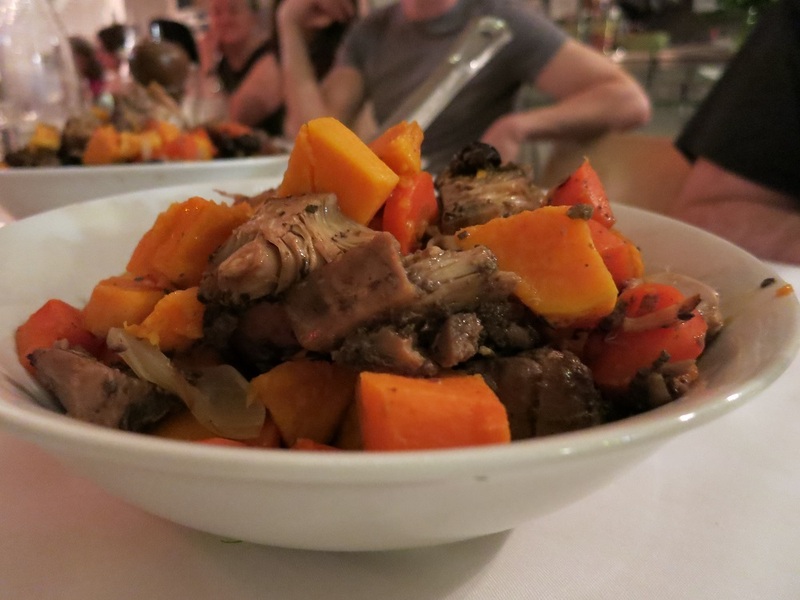 We had a great feast of cozy hearty Jewish cuisine, and I snapped a few pictures along the way. It’s wonderful to eat traditional style food, where it’s all very similar, you have some idea of what to expect, but everyone has their own unique spin on things. If you’ve never been to a Rusholme Park Supper club, I give a basic run down of what it’s all about in my first taste of the Depanneur post from all the way back in 2012! The supper club isn’t all vegan all the time. Supper club memberships cost $40 and include the cost of the meal. Memberships are only valid for one day so the way it works is that you “renew” your membership each time you attend the club. And now all I want is to buy an egg form and try to make this at home. 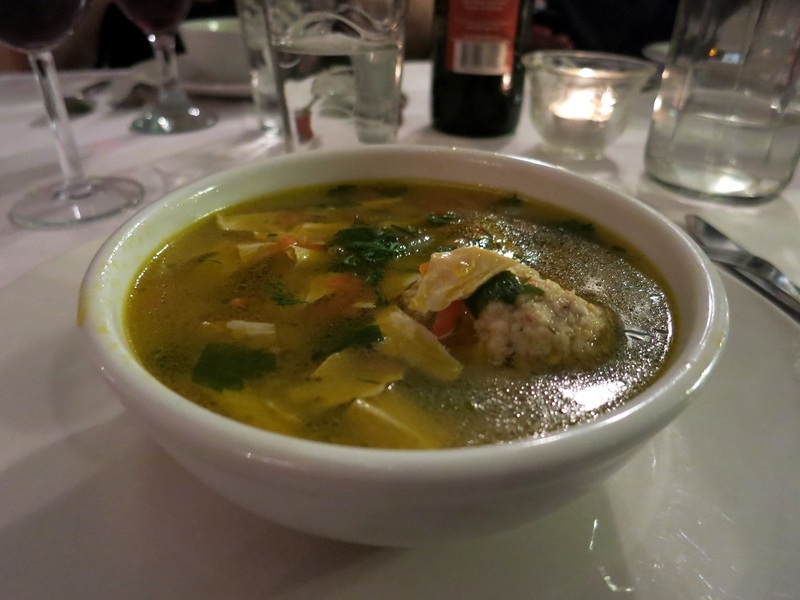 Next was soup – Matzo ball soup – probably the most famous of Jewish dishes. Emily’s matzo ball soup on Sunday night influenced the soup I made on Monday night because it was hearty and thick, with lots of veggies, broth, yuba, and herbs, and I’ve been accustomed to very light broth based matzo ball soup. I’ve since changed my style – hearty all the way. Thanks Chef. Beautiful orange young jackfruit tzimmes appeared – it’s a sweet stew typically made from carrots and dried fruits and other root vegetables. In this variation, tasty young jackfruit added a bit of a meaty texture to the sweet and savoury dish. 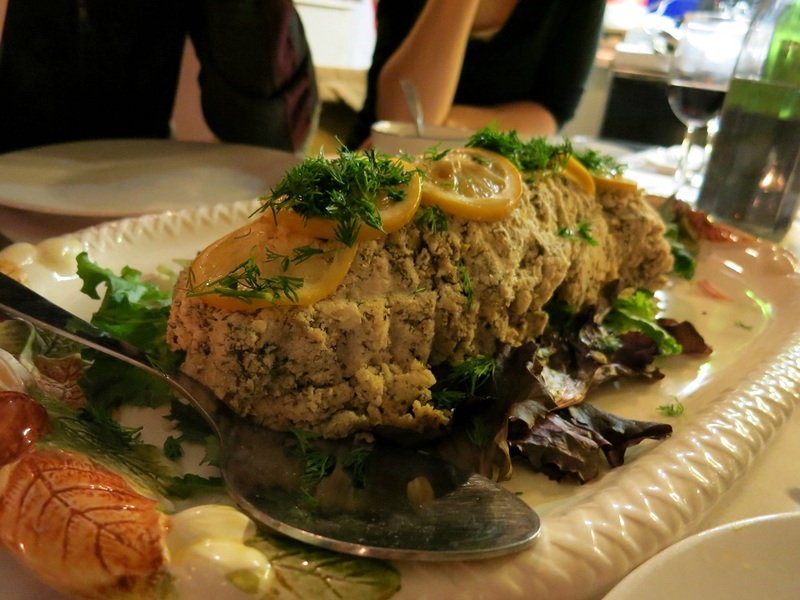 Finally the grand fish appeared – the baked okara gefilte fish that is. I’ve never had gefilte fish, and have only really seen it on dusty murky orange & green Manischewitz jars in the kosher sections of supermarkets. So I don’t know gefilte fish, but I would eat this okrara based gefilte fish again. The weird and wonderful texture of okara is so versatile. 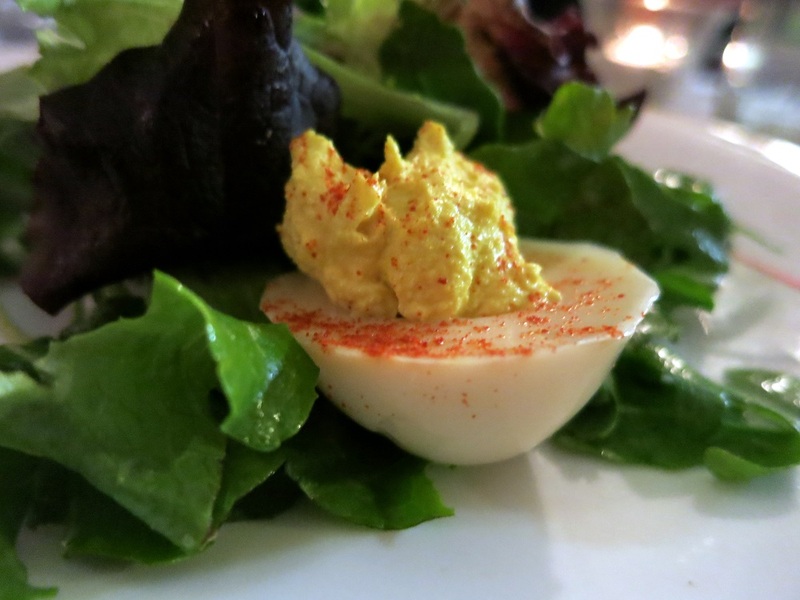 Paired with a horseradish mousse – it’s just was just divine. I’ve got no other words. Amazing maybe? 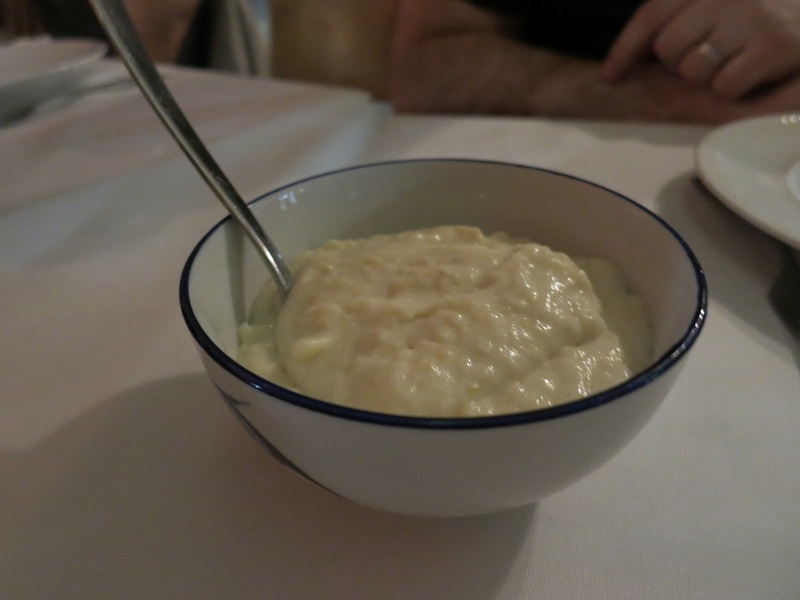 Finally for real this time – there was a dessert of Manischewitz sorbet with Ontario pears and dried cherries. I check every year if Manischewitz wine is vegan, and every year I find the same ancient post on Barnivore. I don’t know if I’m hoping to find it’s not vegan some day, but in this case, I was happy it was. Say what you will about Manischewitz wine, but it makes a wonderful sorbet. But then, dessert was more than just sorbet. 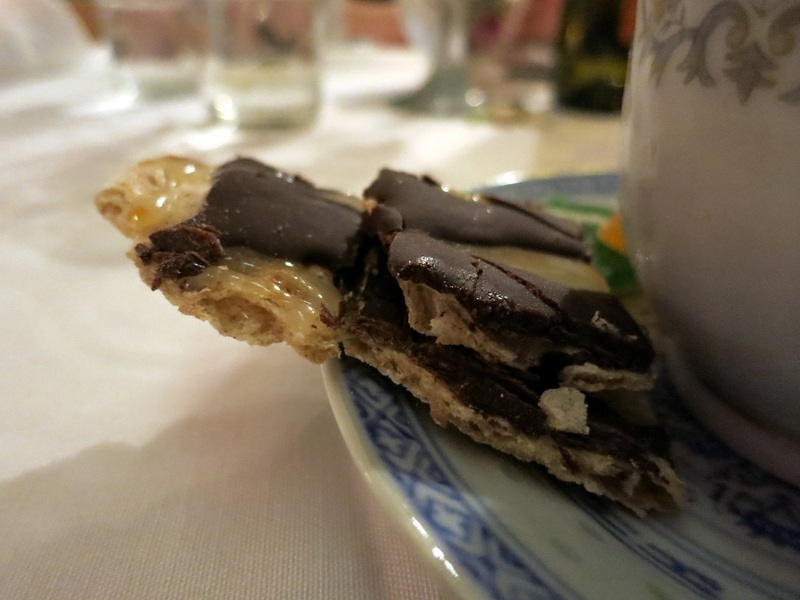 There Matzoh toffee with Chocosol chocolate and sea salt. As an added bonus, the Matzo was baked by Emily at the annual Matzo bake at Dufferin Grove Park. I think I remember hearing about this event last year… but promptly forgot about it again this year. For updates, follow them on Facebook. So dinner was over, we left with full and happy bellies, and look forward to the next Jewish dinner option from Emily, which conveniently is tomorrow night. Okara tuna salad, Tofu egg salad, quinoa tabouli, served with sprouts and matzoh on the side. Check it out on facebook, or on The Depanneur, and maybe I’ll see you there. emily zimmerman, passover, The Depanneur. Bookmark.